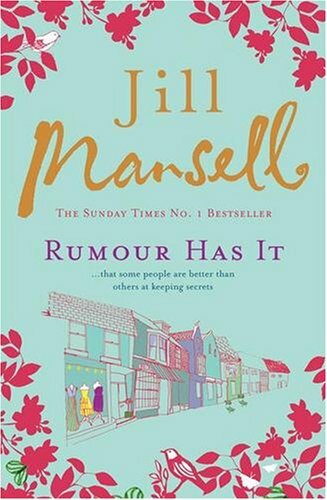 Rumour Has It by Jill Mansell – It's Time to Read! When newly single Tilly Cole impulsively quits her London job for a fresh start in the small town of Roxborough she finds she’s arrived in a hotbed of gossip, intrigue and rampant rivalry for the most desirable men. Tilly has no intention of joining in – she’s just happy with her new Girl Friday job. Then she meets Jack Lucas. Jack is irresistible… and he’s got his eye on Tilly. But there are shocking rumours about his wicked reputation. Tilly doesn’t want to be just another notch on anyone’s bedpost. But is she being mature and sensible – or is she running away from the love of her life? This is the second Jill Mansell book I’ve read and I really enjoyed it. I found it an easy, girly read. The main character, Tilly, has moved to Roxborough where her best friend lives to get away from her ex-boyfriend. She is always running from relationships when she feels that they have turned sour. In this story she is running again, this time away from a man who has seemingly slept with all the other women in the village. I liked this book. I found the story engaging and amusing. I wanted to know what happened in the end – although of course I could guess. There were storylines in the book which surprised me and kept me on my toes, which added to the enjoyment of the book. Although Tilly is the main character, Mansell has written in some excellent co-stars; such as Max, who Tilly lives with. I loved his dry sense of humour and just his presence in the book. This is unashamedly chick-literature. This is a romance novel with all the right trimmings. It has a lovable cast, a great location and a fun storyline. There are some parts which are predictable, some bits I didn’t believe, but that didn’t spoil the book for me. Mansell seems to be a good women’s author, and if you like this genre, you will like this book. Not the best I’ve read, but highly entertaining and worth reading.